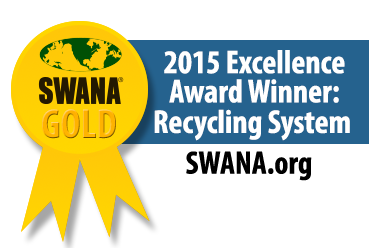 An efficient, higher quality, more convenient way to recycle. DEM-CON MATERIALS RECOVERY IS A SINGLE STREAM RECYCLING FACILITY THAT ACCEPTS RECYCLABLE MATERIALS GENERATED FROM COMMERCIAL AND RESIDENTIAL SOURCES. SINGLE STREAM RECYCLING INCREASES RECYCLING AND MAKES RECYCLING MORE CONVENIENT. Below is a list of Acceptable & Unacceptable Materials. Yogurt tubs, butter tubs, etc. Dem-Con Recovery & Recycling was established in 1999 as one of the first facilities in the Twin Cities to recycle mixed construction debris. Through our growth in the construction and demolition industry our knowledge and capabilities grew and we began to process many types of materials at our facility. To continue to grow and meet the needs of our customers, single-stream recycling was a natural fit for our environmental campus. 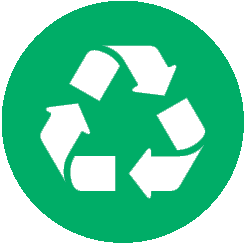 Dem-Con Materials Recovery accepts recyclable materials generated from commercial and residential sources. We partnered with Liberty Paper who has end market expertise and experience moving materials through various markets. LPI's expertise partnered with Dem-Con's operations experience created a unique opportunity to provide recycling services to the Twin Cities and greater Minnesota. Dem-Con is excited to offer this service and help our communities recycle more. As our population grows and our customers needs change, we will continually look for new ways to educate, innovate, and recycle. 70,000 sq. ft. of state-of-the-art processing facility located conveniently off HWY 169 in Shakopee with quick truck access to tipping floor. 20 TONS per hour of source separated materials. 20 TONS per hour of commingled household and commercial recyclables. We feel strong about educating people on the process, benefits and capabilites of the MRF - both young and old. Our classroom uses a visual map of the MRF as well as tablets to learn and interact with the MRF. The “Sort It Out” station allows visitors to get a hands on experience with different materials the MRF can handle. This allows people to understand what materials are and are not acceptable at the MRF. Learn & Interact with technology and real commodities to know more about our MRF and its capabilities. CONTACT US TO LEARN ABOUT HOW WE CAN PARTNER AND WORK TOWARD INCREASING RECYCLING AT YOUR COMPANY OR WITHIN YOUR COMMUNITY. Please contact your hauler with questions. SCROLL THROUGH PICTURES TO LEARN MORE ABOUT THE MRF! You may love to recycle, but you might actually be terrible at it. What’s the cost of our “wish-cycling”? Recent policies pertaining to scrap imports into China are making exporting some postconsumer recyclables increasingly difficult. Material recovery facility (MRF) operators are trying to find new technologies or processes to help them meet China’s stricter quality requirements. This situation and others, such as labor shortages, have helped to increase MRF operators’ interest in robotic sorting systems, which claim to achieve highly pure recyclables at higher processing rates than hand sorting. China has almost entirely stopped buying recycled material, which is rattling recycling bins halfway around the world in Minnesota. Industry experts say the unsold material is backing up, recyclers are losing money, and consumers are facing higher costs and new recycling rules.